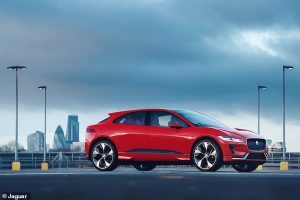 JLR plans UVC got models and improve driver health. UVC lighting in a car could prevent the spread of the germs that cause colds and flu. At least that is a theory being explored by Jaguar Land Rover. It is introducing ultraviolet light into the air conditioning units in its future models in a bid to kill superbugs and protect drivers and passengers from exposure to the germs. According to reports about the news project, including that of the Mail Online, “UV lights have been used in the medical world for more than 70 years and is effective at killing pathogens – including bacteria and viruses.” The process involves high energy rays from the UV light that sterilise the contents of the air conditioning system before it is pumped around the car’s cabin, reducing the risk of infection. This type of technology is already used for disinfecting water, filtering air and sterilising surfaces, but it has never been used before in cars. At Titanium Luxury Car Hire, we understand that hiring a luxury car in Europe is not just about getting from A to B. For our clients it is also about the experience. We specialise in luxury car hire and rental ranging from Supercars, Luxury four wheel drive SUV’s, luxury Cabriolets and Executive vehicles and can provide your chosen hire car anywhere in Europe. CONTACT US to reserve a prestige car today!